Beverly Hills, what a thrill. If only Phyllis Nefler knew how fabulous camping would become in the year 2017. Glamping — exploring a rainforest, desert, jungle, or treehouse and then curling up in luxury digs with gourmet food — is growing in popularity, but if you think glamping in the wilderness is still too much like roughing it, the Four Seasons Beverly Wilshire Hotel has just the thing for you. Their Veranda Suite, the only room in the hotel with its own floor, 10 stories up, is equipped for the first urban glamping experience in Los Angeles. Gather ‘round the fireplace in comfy oversized lounge furniture for some “Kumbaya” with views of the Hollywood Hills and Rodeo Drive (where you can earn your own black belt in shopping) from your 2,140-square-foot terrace. 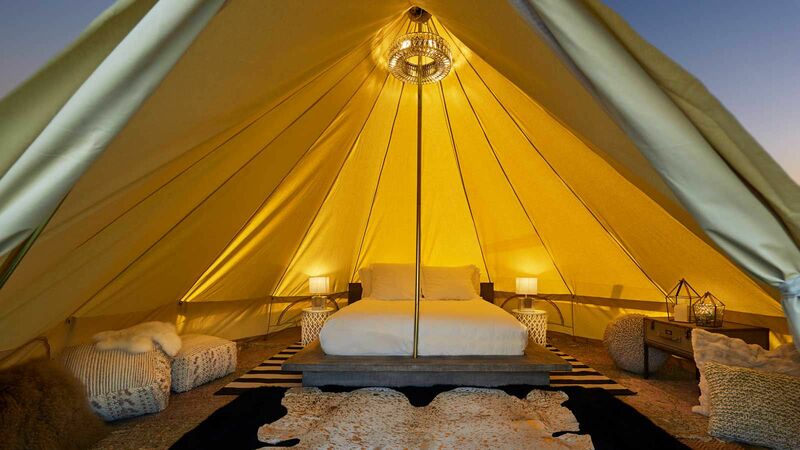 When it’s time to sleep, you can snuggle up in your luxurious tent, 16 feet in diameter with lavish furnishings, a queen-size bed with Four Seasons linens, crystal chandelier, fur rugs, and antique nightstands. The adult equivalent of setting up a tent in your backyard, you also have access to the large one-bedroom suite with a king-size bed, walk-in closet, and marble bathroom. As part of your “camping out” experience, you can arrange an al fresco dinner on your veranda with seating for eight and enjoy indulgences like Special Reserve Ossetra caviar, Wagyu beef, and seasonal side dishes. 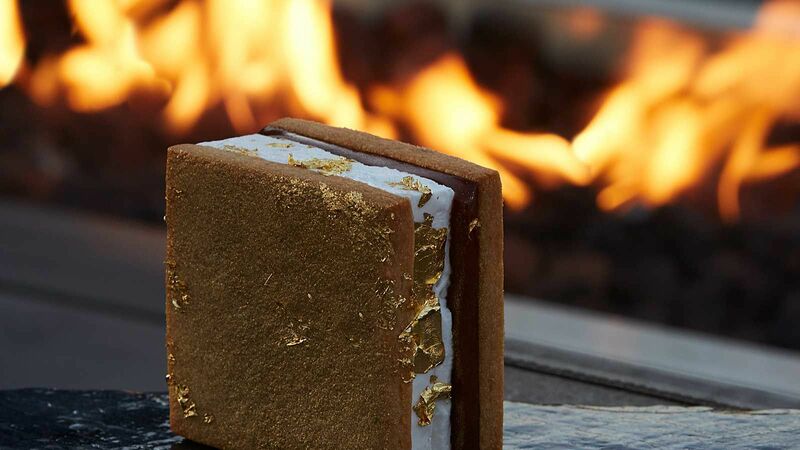 And it wouldn’t be camping without s’mores, so Chef Chris Ford has devised a version to match the luxury of the setting: Tahitian vanilla bean marshmallow, Valrhona chocolate, and 24-karat gold leaf as the final touch. Wine and champagne pairings are available at an additional cost. Starting at $3,500 a night. Tasting menu starting at $325.